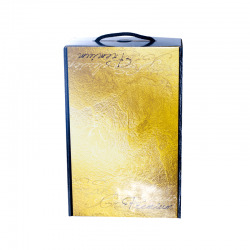 Customize free your giftbox with a note of gratitude. The case that we present below is small but very complete and compact. 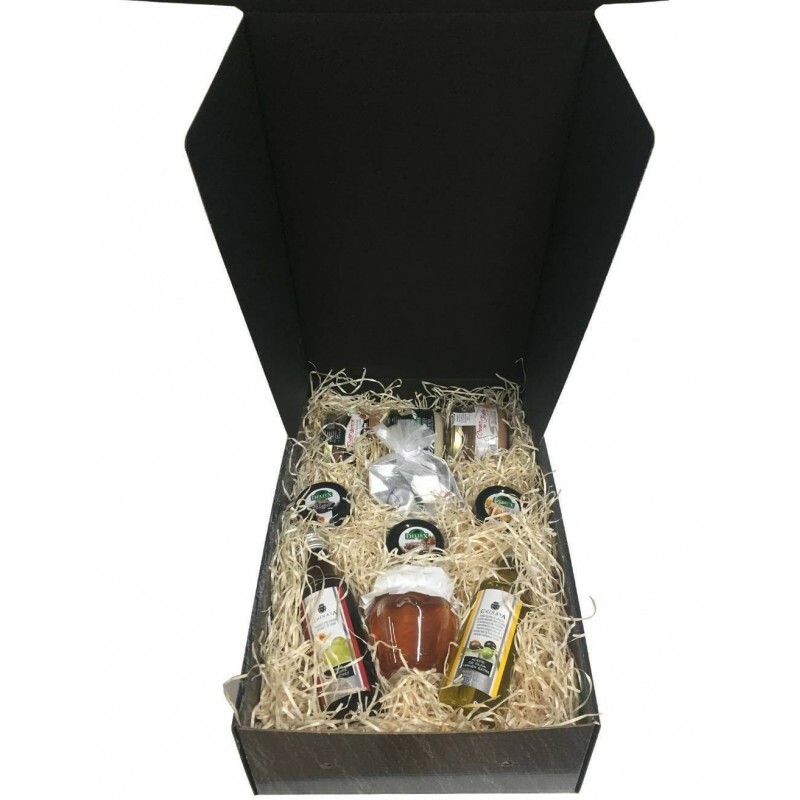 Gourmet products from our online store. 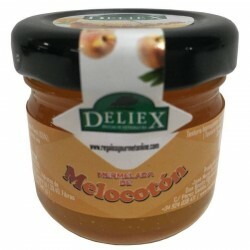 Presented in a box-case of cardboard of quality and elegant, inside you will be able to observe three very delicious jams of the mark Extremeña Deliex, flavors to Higo, Peach and Strawberry. 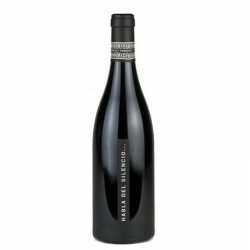 Along with two patés of Iberitos, an Iberian Paté to Pedro Ximenez with raisins and a cream of Cured Ham. 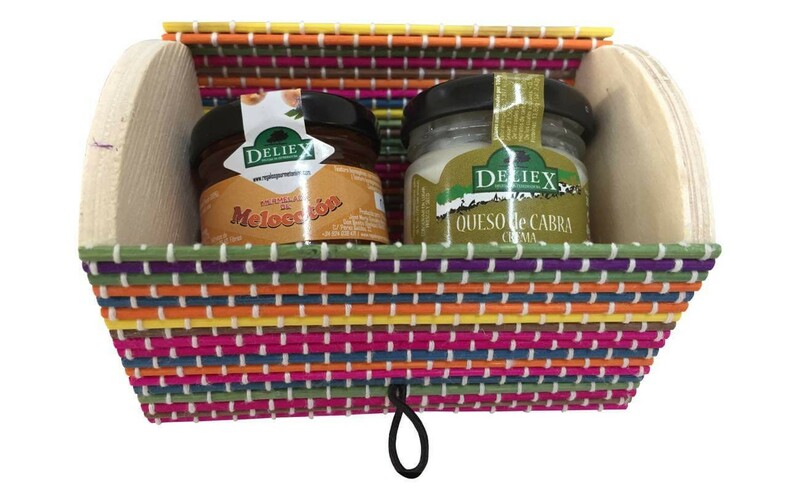 Two gourmet pates worthy of the best palates. 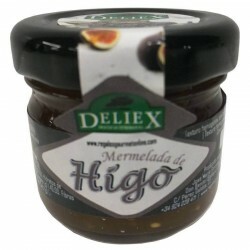 It also includes a jar of Honey orcio of 100 g of the mark Deliex. 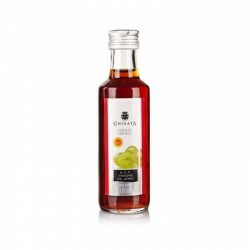 Combined with two miniature glass bottles of 100 ml of Extra Virgin Olive Oil and Jeréz Vinegar, from the well-known and valued La Chinata. The sweet spot is put in the bag of organza with its three prune chocolates. Covered in turn of a layer of chocolate and refills with delicious truffle and liquor. The royale rabies are a discovery and their taste is falling in love with the world. 3 x Fig Bonbon Rabito Royale covered with chocolate and filled with truffle and liquor. 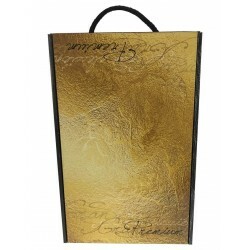 A gift case for companies that want to look good with their customers or employees, with an economic price. Me ha encantado y le ha encantado, todo estaba muy bueno. 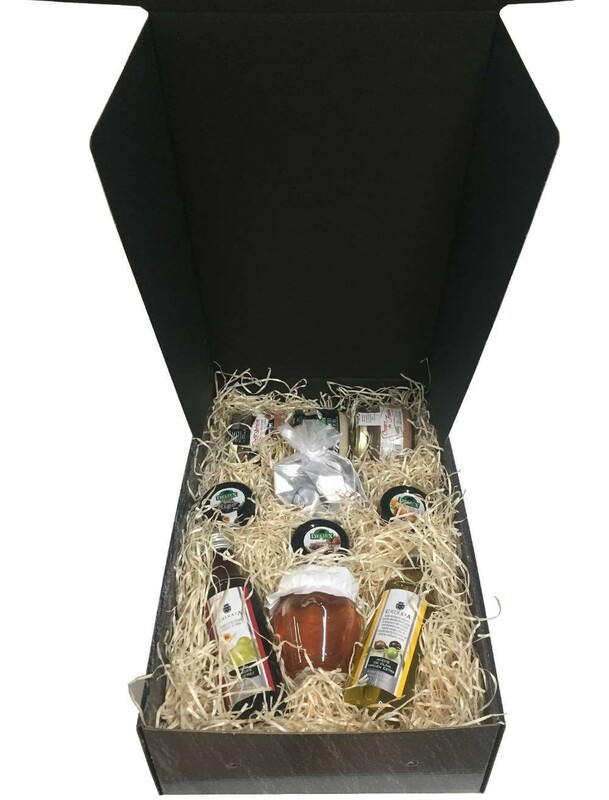 Small case with honey, oil, vinegar, jams, chocolates, cream cheese and pates for company gifts has a rating of 10 out of 10 based on 3 customer reviews.